Me, Baseball Cards, & 2028 END !!! The year was 1978. I was seven. I can still remember sitting with my dad and brother in our living room opening up our first bubblegum wax packs of the brand new 1978 Topps Baseball Cards. Wow! They were beautiful! Dad loved watching baseball on TV, and this was our family’s first experience with getting baseball cards. I’ll never forget it! And now I see this fun experience was really divinely planned by God to foreshadow the amazing end-times message He would one day give me to deliver to the world! 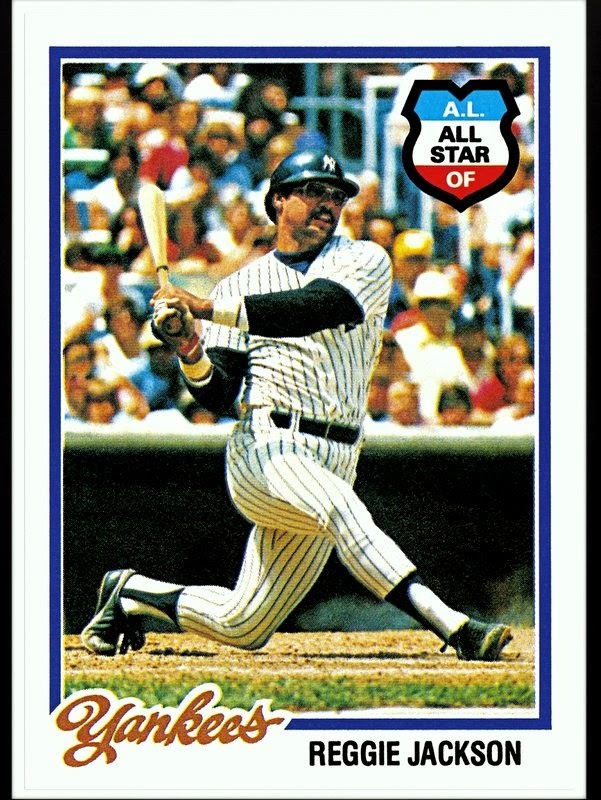 Soon, we opened up a pack with superstar Reggie Jackson in it – he was card number 200. Wow, it was a gorgeous card! And then, there was superstar George Foster – card number 500. Sweet! And then superstar Nolan Ryan – card number 400. And then superstar Johnny Bench – card number 700. And superstar George Brett – card number 100. Nice! And then superstar Joe Morgan – card number 300. Wow, the set had 726 total cards in it, and Topps had put some of the game’s biggest superstars right on the even hundred number markers. How cool I thought! Not long after that, dad found a way to contact Topps directly, and he ordered whole cases of these cards. They came with 24 boxes inside (called “bricks”) containing 500 random cards, for a total of 12,000 cards a case. Dad bought several cases, and soon we were sorting these cards into numerical order. First was to create eight piles containing cards in each hundred. So, card numbers 1 to 99 went into the top left pile, card numbers 100 to 199 went into the top pile next to that, etc, etc. Then, when that was all done, we each picked a hundred pile and sorted those cards into ten piles of tens, and then each of those piles into single digits. It was crazy. It was work. But it was family fun. How many other kids did that do you suppose? Well, my brother and I did! And for the next 5 years or so, each year dad would order cases of the new Topps cards and we’d be sorting cards! So, what does this have to do with my end time message? The set had 726 total cards! Sound familiar to God’s 7 Creation Day / 7,000 solar year master time plan? How about each of the even hundred numbers cards (100, 200, 300, etc) containing mega superstars, as if those numbers were important to Topps? Wasn’t year number 4,000 important to God? Of course, it’s the year He planned for Christ to DIE for us! How about year 6,000? Of course, it’s the year Christ is returning! Yes, the hundred numbers are important to God, too! And how about God first introducing me to this “700 baseball card numbering” in the year 1978, which was exactly 30 years from AD 2008 (the year He told me His Son Jesus Christ is returning in AD 2028) which was exactly 50 years away back in 1978! Amazing!!! I tell you the truth … Jesus Christ is going to return in year 2028! God has been prepping me with this message my ENTIRE LIFE!!! Approximately 746 Weeks (Sabbaths) Remaining Till Christ's Return! Approximately 747 Weeks (Sabbaths) Remaining Till Christ's Return! 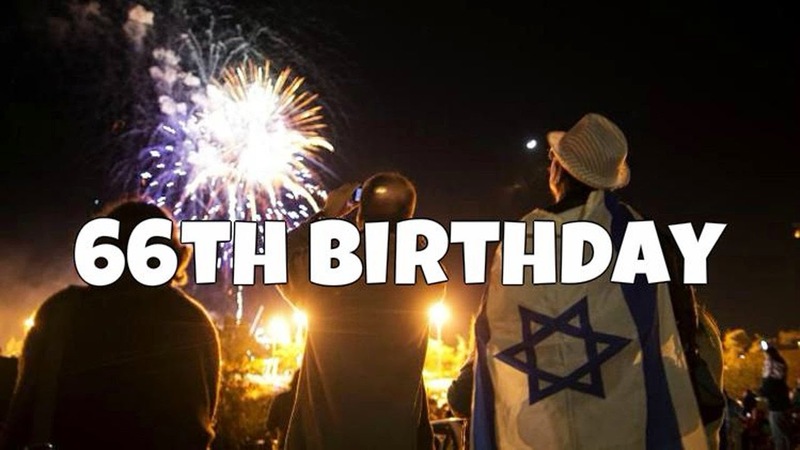 Happy 66th Birthday Israel !!! "Friend, the rebirth of the physical nation of Israel in AD 1948, after millennia of non-existence, was like an alarm clock going off for mankind that we are now in the final days of God’s 6th millennial day! (God clearly prophesied through the Israeli prophets of the reemergence of Israel on the map right before the culmination of 6,000 years.) But, for the most part, mankind has hit the snooze button on this alarm buzzer, and most people are drifting back to sleep at a time when the alarm is about to sound again with the TRUMPET of God at Jesus’ 2nd Coming!!!" I wrote those words back in 2008, when Israel was 60. I can hardly believe 6 years have passed already since then! Boy, time is FLYING!!! Only 14 years left now (two 7’s of years) until Israel (the Fig Tree) turns 80 in AD 2028. I can’t help but think we’ve reached a critical time period now on God’s Master Time Plan. Why? Because Jacob worked two 7’s of years for a bride, and Joseph had two dreams of 7 years. Seven is the number God chose to divide time into for His Master Time Plan for planet Earth. And now we have just two 7’s of years left until the year of Christ’s return! It will become obvious in the 2020’s that these things are true, when the world sees a man come onto the scene who demands their worship, who institutes a mark without which no man will be able to buy or sell. Yes, the “informed” will know. Please wake up! NOW is the time to work on aligning your life up to God’s Way of Love. NOW is the time to get to know God. I’m warning you, don’t be asleep when the alarm clock sounds for the last time! Approximately 748 Weeks (Sabbaths) Remaining Till Christ's Return! Why Would God Tell the World the End Date? Last night I came across a YouTube video made by an atheist concerning my “2028 END” movie. This guy’s beef with my end-of-the-world message was that some people get frightened and commit suicide over these type messages. (He noted 3 suicides that he believed happened over the Harold Camping 2011 and Mayan 2012 dates). So, provided the message is REAL and TRUE, let me explain WHY God would want to tell the world the time of the end, when the surface of planet Earth will be completely destroyed with fire. It’s like this … if you lived in a shoreline community and knew that a massive category 5 hurricane was bearing down on it in 3 days, and you were the ONLY ONE with access to a weather forecast, would you go around and warn your neighbors? How desperate would you be to tell them? Would you run? Would you yell at them to get ready? Would you plead with them to board up their windows? Or would you simply do nothing? Well, what would you do? Would you be concerned that you might frighten someone and they might foolishly choose to commit suicide? Or would your overwhelming concern for your fellow man win out because you hoped that MANY of them would prepare for the coming storm, and thus your warning would have saved their lives! I think you get my point. God is warning the world right now through the movie “2028 END” of coming global destruction! He wants you to get ready? How do you do that? You stop sinning! You turn from your wicked ways and begin aligning your life up to God’s 10 Love Commandments! THIS is the effect I pray this end-of-the-world message will have on millions! 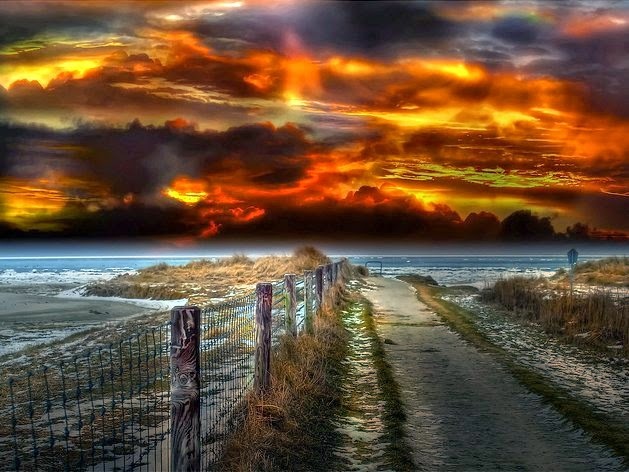 If you choose God now, you WILL be spared from the coming fiery destruction. It’s up to you! Don’t shoot the messenger! I’m here to help you! I love you! My motives are as pure as the driven white snow! Approximately 749 Weeks (Sabbaths) Remaining Till Christ's Return! Sir Isaac Newton was born December 25, 1642. He is regarded as one of the greatest scientific minds to have ever lived. He wrote “Mathematical Principles of Natural Philosophy” in 1687, which formulated the natural laws of motion and gravity. He built the first reflecting telescope. He developed a theory on color. He formulated a law of cooling. He studied the speed of sound. And as a mathematician, he pioneered calculus, power series, binomial theorem to non-integer exponents, and roots of functions. To put it plainly, Sir Isaac Newton was a mathematical GENIUS!!! But did you know Newton was also passionately interested in the Creator God? Newton believed the mathematical simplicity (maybe to him! … lol) of science’s ability to explain the physical universe proved the existence of a Creator God. And Newton believed that Creator God was the God of the Bible. This led to Newton wanting to “figure out” God’s Word and when the “end” would come. So Newton studied the numbers. He plotted them. He graphed them. He brooded over them. He thought, and he thought, and he thought! And you know what? He never was able to understand them! Why? Because to understand the numbers in God’s Word, one FIRST has to understand what the stories in God’s Word are about! And it just wasn’t time for that! So the best Newton could do in his own genius human intellect is predict the world would “end” around the year 2060. But that’s all changed now! For exactly 328 years after Newton’s birth, on December 25, 1970, another human being was born. His name was Gabriel Ansley Erb. And it was NOW TIME for the numbers in God’s Word to be known. So in the year 2008, God revealed the secret meaning behind His Bible stories (and the numbers in them) to His servant Gabriel. And now the REAL TIME of the “end” is being broadcast to the world … 2028 END!!! Have you taken the time to study and understand what Gabriel has written? Like none other, now’s the time!!! Approximately 750 Weeks (Sabbaths) Remaining Till Christ's Return!